WATCH: Tyson Fury's take on Joshua W12 Parker - it ain't pretty! WATCH: Tyson Fury’s take on Joshua W12 Parker – it ain’t pretty! Ouch. Fury is not alone in his less than glowing review of last night’s fight and winning performance by the now 21-0(20) Joshua, but there are those who will no doubt feel Fury is being far too critical of AJ; who is, after all, still a champion fighter in progress. 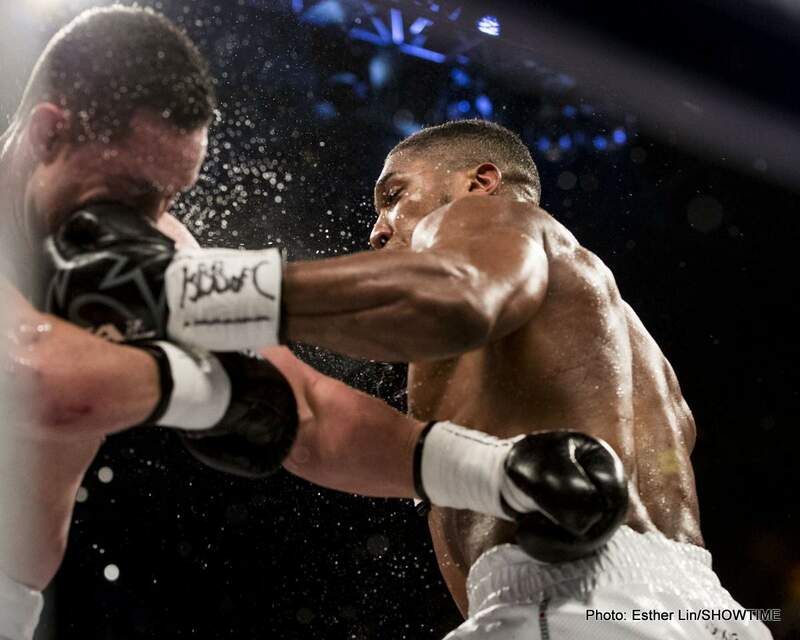 Would Fury outclass Joshua in the manner he claims should he fight him this year, or next year? Fans want to find out, and it’s now up to Fury to stop talking and get back in the ring where he belongs. There are three potentially enormous heavyweight showdowns fans both want to see and deserve to see over the coming months: Joshua-Wilder, Joshua-Fury and Fury-Wilder. But will we even get to see one of these fascinating match-ups take place? Previous boxing news: Deontay Wilder unable to congratulate Anthony Joshua on his unification win…. You are here: Home / Boxing News / WATCH: Tyson Fury’s take on Joshua W12 Parker – it ain’t pretty!